Your doggy is hyperactive? 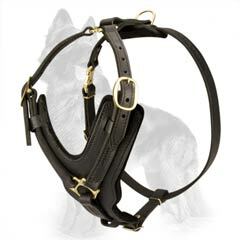 Give him more freedom in moving with our Unusual Design Leather Dog Harness. This supply has stylish look and provides more comfort for your German Shepherd while walking, active training and playing. Besides all mentioned above qualities this product is pleasant for a dog's body, has encreased durability and long service life. 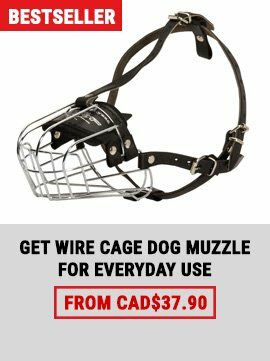 If your pet has trachea or neck diseases, this equipment will fit him perfectly, because its construction allows to avoid distribution of pulling force on these areas. Handle for more control (option). This Convenient Shape Dog Harness is made of high quality genuine leather. Such eco-friendly material makes this supply absolutely safe for a dog's health. 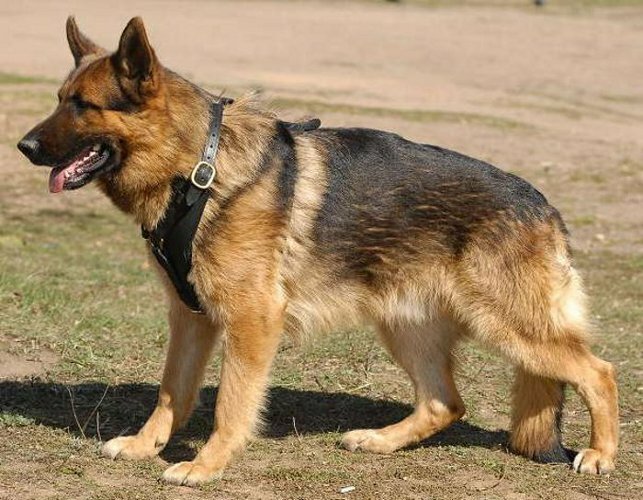 By the way natural leather equipment can be characterized as soft for a dog's sensitive skin and strong enough for everyday use during many years. For extra comfort of your pet our craftsmen padded with thick felt the back and chest plates of this harness. 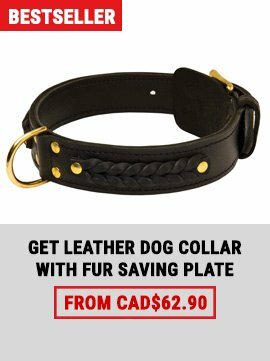 To make it stronger they stitched carefully all leather parts of this dog accessory. So the main rules of handmade dog equipment – strength and comfort are observed perfectly. 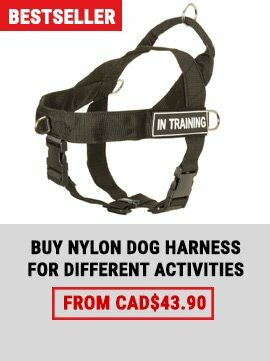 All the straps of this Comfy Leather Harness are adjustable. They don't stretch and has excellent width that helps to avoid skin rubbing. To make them more reliable the straps are additionally riveted. 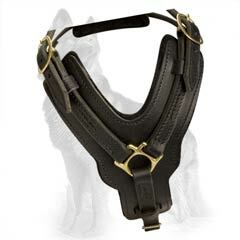 Our High Quality Leather Dog Harness is equipped with durable brass fittings. The hardware has special covering that prevents rust and makes this product corrosion resistant. To harness your German Shepherd in a minute this supply has a quick release buckle. Also there is a durable D-ring on the back plate for reliable attachment of a leash. 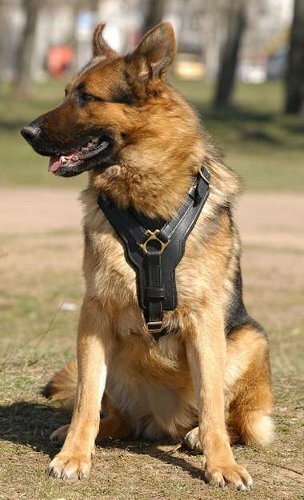 We recommend to order this fantastic harness for your German Shepherd because of its functionality and high quality. Besides, it looks stylish enough and provides maximum comfort for your pet. Enjoy walking, training and playing with our Y-Shape Leather Dog Harness.